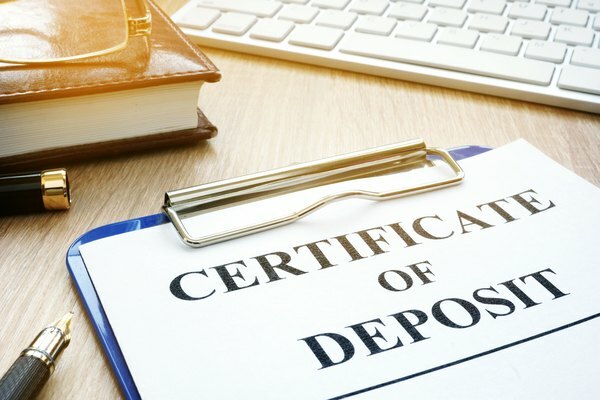 When you put your money into a Certificate of Deposit, the stipulation is that you must keep the money in it for a designated period of time. That period can range from a few weeks to a full decade. However, life happens, and you may have an unexpected emergency that merits withdrawing some or all of the funds you’ve locked up. When that happens, you’ll be charged a penalty, usually in the form of a set number of months’ worth of interest. You can claim early withdrawal penalties on taxes since you’re forfeiting at least a portion of the interest you earned. With a CD, you generally benefit from higher interest rates if you choose a longer term, but tying your money up for a full decade can become an issue. You may decide to buy a house or, at worst, lose your job and need to tap into your savings. The penalty for early withdrawal on CDs should be spelled out in the agreement you made with the financial institution when you put your money into the CD. The good news is that usually it just means losing a certain amount of interest. This could be six months of interest, for instance, or a full year. The bad news is that this penalty will apply even if you only take out a few hundred dollars rather than the full amount. Unlike other early withdrawal penalties, though, CD penalties affect the interest. Because of that, you may be able to claim the amount you lose on your taxes. If you’ve taken an early withdrawal and paid a penalty, that information will be included on the Form 1099-INT that you receive at tax time. Most of the time, you’ll be able to deduct that entire penalty, even if it’s higher than the interest income you earned. The penalty will be listed in Box 2, Early Withdrawal Penalty. You’ll report the information on Form 1040. On the new form, which took effect starting with the 2018 tax year, this information will go into Schedule 1, Line 30, Penalty on Early Withdrawal of Savings. One notable exception to the penalty for taking money out of a CD is if your CD was held within an IRA. When you invest in an IRA, you have a variety of options. You can put your money into stocks, bonds, money markets or CDs. If you choose to put all your money into a CD, you’ll have something called an IRA CD. If you withdraw the CD before maturity, though, you’ll pay a penalty just as you would any other CD. Since the penalty for pulling out money from an IRA is 10 percent, that’s where things can get a little confusing. In that case, the issue then becomes whether you left the proceeds in the IRA. If you did, you won’t have to pay taxes on those proceeds, but you also won’t be able to deduct the penalty you paid on the CD side of things. However, if you withdraw the full amount of your IRA, the money you receive will have the early withdrawal penalty for the CD taken out before you receive it. That means you won’t be able to deduct that penalty, but it also means it won’t be included on the taxes you pay on the money you made in interest on that portion. The best way to avoid paying penalties on your CD is to simply refuse to withdraw the CD before maturity. Of course, this isn’t always easy. However, not all CDs come with early withdrawal penalties. Although it isn’t common, you actually can find a no-penalty CD. You may sacrifice a little on the rates by doing this, but it will free you up to invest more money than you otherwise might have, potentially upping that interest a little since it will cover a larger amount of money. Instead of looking for no-penalty CDs, you can simply choose one with terms that are easier to maintain. You may decide that a six-month CD is a better option, for example, because it will offer some breathing room for those life emergencies. Some experts recommend a CD ladder, which allows you to set up your CDs so that they expire at different intervals. So, you may have six-month, one-year, five-year and 10-year CDs operating simultaneously and then continually renew them in a way that ensures you always have an upcoming amount that will soon expire. If you don’t withdraw a CD before maturity, you may wonder what you need to do once it does. You’ll have seven days to take action before your CD automatically renews for the same term you chose previously. That seven-day grace period starts the next calendar day after the CD matures. In that week, you’ll have four choices: renew the CD for the same term, renew it for a different term, add more funds or withdraw funds without penalty. As you’re deciding what to do with your funds during that grace period, take an inventory of the upcoming months. If you renew for the same term, you may risk a CD early withdrawal penalty if something comes up, so make sure you don’t tie up too much of your funds, especially if you’re adding money to your CD. If you leave the funds alone until they reach maturity, you may not have to deal with the CD early withdrawal penalty, but the tax man will still want his share. Whether you transfer the funds to another account or reinvest it back into the certificate, you’ll be required to pay taxes on the interest you earned during the time it was in place. You’ll be taxed on that amount as interest income and not at the capital gains rate, so that means you’ll pay more in taxes than you would on other gains. Your tax obligation is connected to your tax bracket. Under the new tax laws, that means if you’re filing individually and you made $70,000, you’ll fall into the 22 percent tax bracket. If your CD earned $500 in interest and it matured this year, you’ll pay $110 to the IRS. 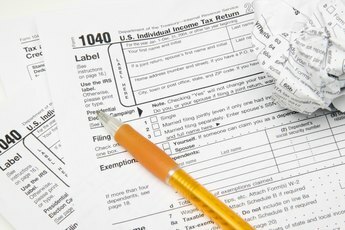 You’ll find information on the interest you earned on the 1099-INT form you received, which you’ll input on Form 1040 on Line 2b, Taxable Interest. Prior to the Tax Cuts and Jobs Act, the penalty for taking money out of a CD wasn’t the only thing you could claim on your taxes. You could claim investment-related expenses, such as investment advice, IRA custodial fees and the accounting costs you have in managing your finances, as long as they exceeded 2 percent of your adjusted gross income. 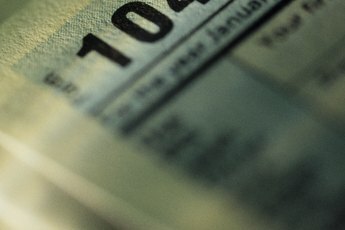 Under the new tax laws, that deduction has been eliminated, which makes the CD early withdrawal penalties one of the few investment-related deductions you can claim. However, the elimination of these deductions came from a good place. Instead of itemizing expenses, which is time consuming and complicated, lawmakers decided to up the standard deduction by nearly double. You’ll enjoy a $12,000 standard deduction per person, so you may not need to itemize at all. If you do decide to itemize, though, one other deduction to consider is the investment interest expense deduction, which lets you claim the interest you paid on any money you borrowed for investment purposes. The Motley Fool: Can I Deduct an IRA Early Withdrawal Penalty? SmartAsset: What Is an IRA CD? NerdWallet: What Is a CD Ladder? Investopedia: How are Yields Taxed on a Certificate of Deposit? Schwab: Investment Expenses: What’s Tax Deductible? 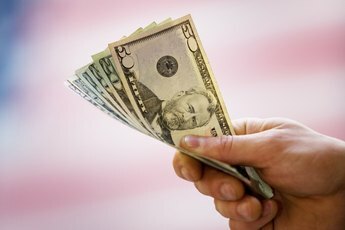 What Happens If I Cash Out an IRA CD Early? 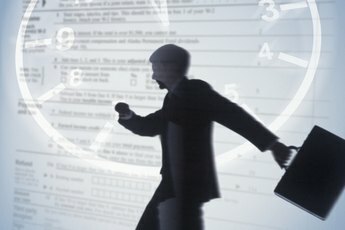 What Form Do I Use to Report an Early IRA Withdrawal?